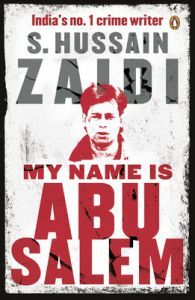 S. Hussain Zaidi is a Mumbai-based journalist, a veteran of investigative, crime and terror reporting. He has worked for the Asian Age, Mumbai Mirror, Mid-Day and Indian Express. His previous books include bestsellers such as Black Friday, Mafia Queens of Mumbai, Dongri to Dubai and Byculla to Bangkok. Black Friday and Dongri to Dubai have been adapted into the Bollywood films Black Friday and Shootout at Wadala respectively. He lives with his family in Mumbai.